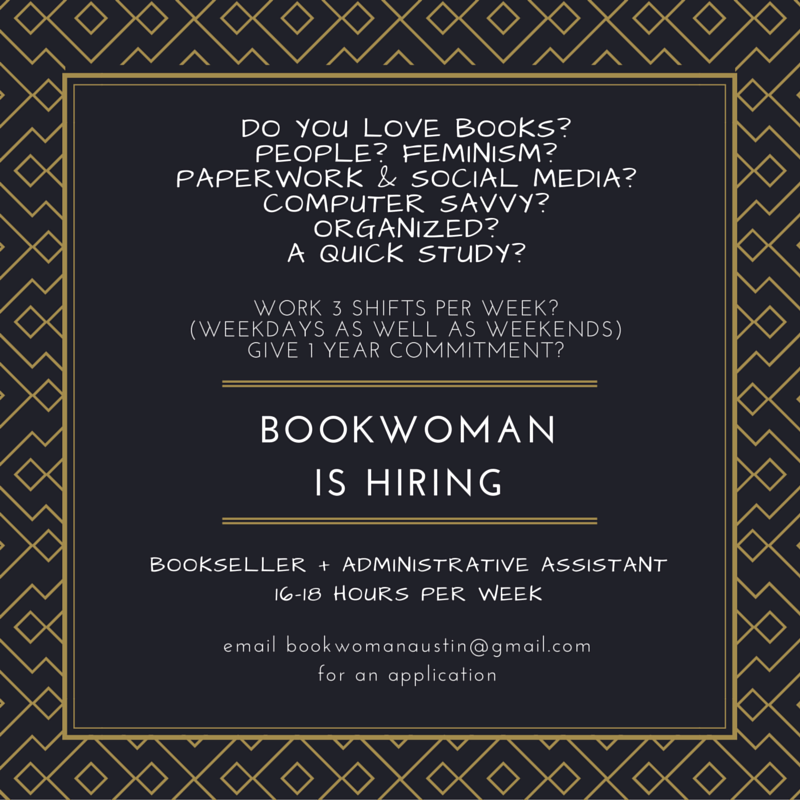 Think you would be a good addition to the BookWoman team? We are accepting applications for part-time booksellers with flexible availability to join our year round staff. Email us at bookwomanaustin@gmail for an application.